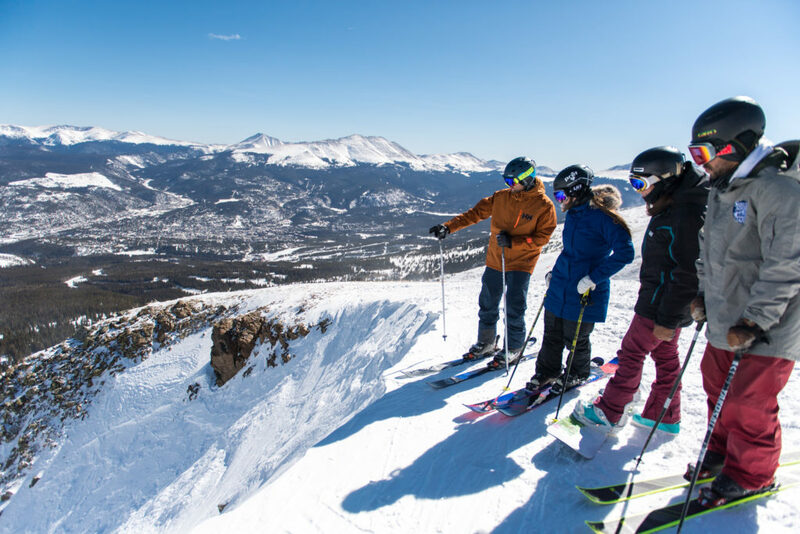 Finding words to describe Breck’s High Alpine certainly isn’t easy. Being above the treeline is a unique experience that, in my opinion, has more to do with the emotions this area evokes than the skiable terrain it provides. With Peaks 6, 7 and 8 considered truly “High Alpine” it provides an incredible atmosphere to get away, reflect on life, and truly appreciate the majesty of the TenMile Range. The fact that the Imperial Express Lift takes you as high as 12,840ft is a skier, adventurer and sightseer’s dream. As someone who often “earns their views” by hiking, skinning (uphill skiing), or biking up above treeline, I realize what a treat it is to have chairlift access to such a high elevation and breathtaking views. Standing up in the High Alpine – from the Lake Chutes to Beyond Bowl and everything in between – you begin to realize how small you are. The relativity of your size compared to the grandeur of the mountains is just one aspect of feeling small; the bigger takeaway is that beyond the surrounding peaks, beyond anything in your sightline, there is so much more. It’s a humbling feeling to realize you’re such a small part of something so insanely big. It reminds me to be thankful, to be more selfless and that there’s more to life than whatever faces me today. Gazing as far into the distance as possible to catch sight of Pikes Peak and Maroon Bells (two iconic mountain-scapes), looking down into the Town of Breckenridge and then finally focusing my attention on the vast playground of terrain that I have the pleasure of skiing down – I realize how much opportunity I’m presented with. Opportunity to explore what I can see, opportunity to connect with others and create a community in town and the opportunity to challenge myself on the slopes of such incredible peaks. I would imagine the feeling of the High Alpine is unique to each one of us. Whether you experience it on one of the three peaks above treeline, from the patio of the base area or even looking up from town, the feeling you get is one you’ll never forget. 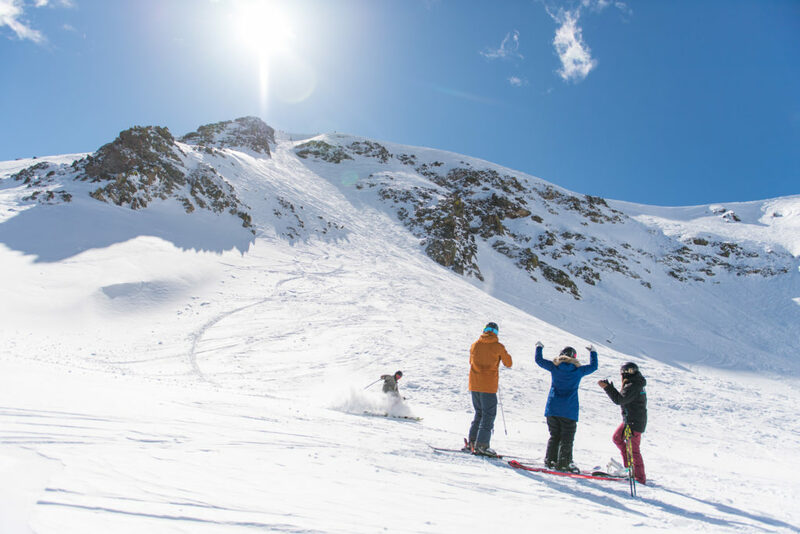 Learn more about the history of Breck’s High Alpine by watching our documentary – Above Treeline: The Story of Breck’s High Alpine.